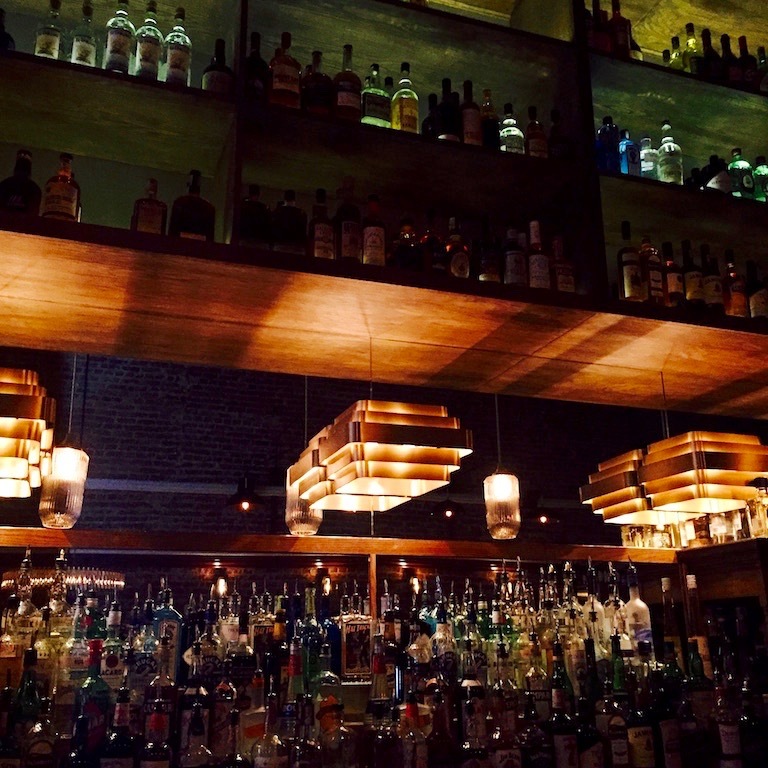 Brace yourself, DC millennials, our new watering hole has arrived with bricks and bells. Quarter+Glory is now open in the bustling U Street Corridor: I’m sure you know where that is. I say it loud (and I say it now) this is one of the best bars in DC. With haste, mark this territory, because in two months you won’t be able to escape the hype or infinite DC’s Best lists. Silly hipster. 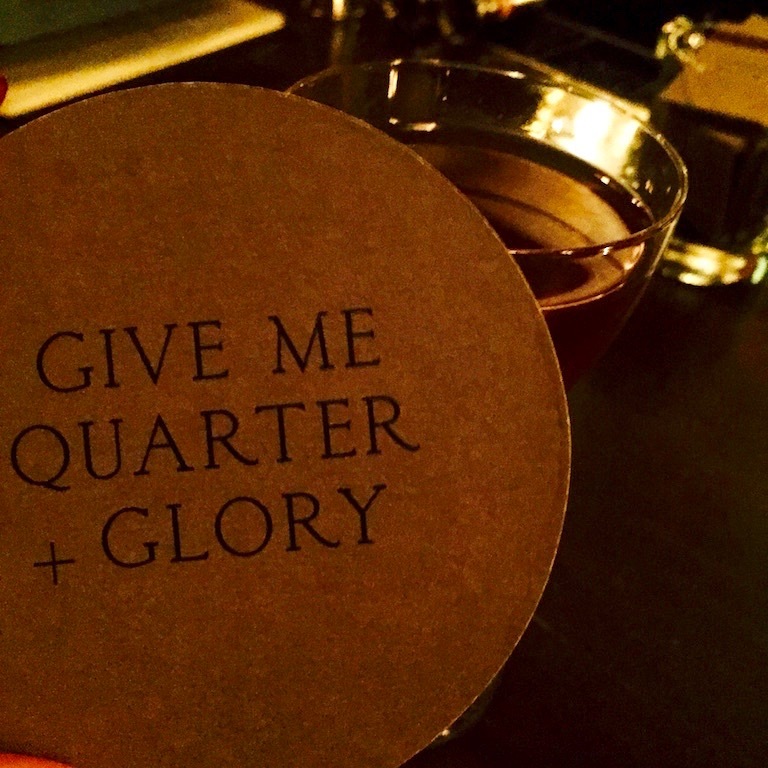 Quarter+Glory succeeds in doing what many bars around DC try to do: allow for an escape. DC drinkers love to feel like we’re no longer in DC (see Barcelona, Ghibellina, Lupo Verde, and the rest of 14th Street for reference.) But where does Quarter+Glory escape to? Old New York City, and who doesn’t love that? I applaud Quarter+Glory for succeeding in capturing the charm of old NYC and making it more than a theme, but a character at the bar. The allure of floor-to-ceiling windows and exposed brick mixed with dim lighting sets the stage for a night of potential, adventure, and just a touch of mystery. Quarter+Glory has a scientist behind the bar, not a mixologist. 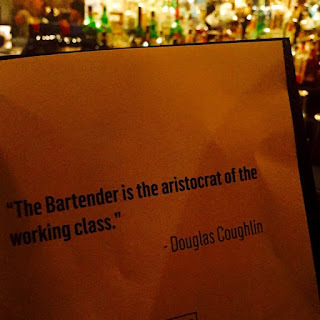 I applaud Kenneth B. McCoy, the creator of 25 specialty cocktails listed as ‘The Originals’ on Q+G's playwright menu. 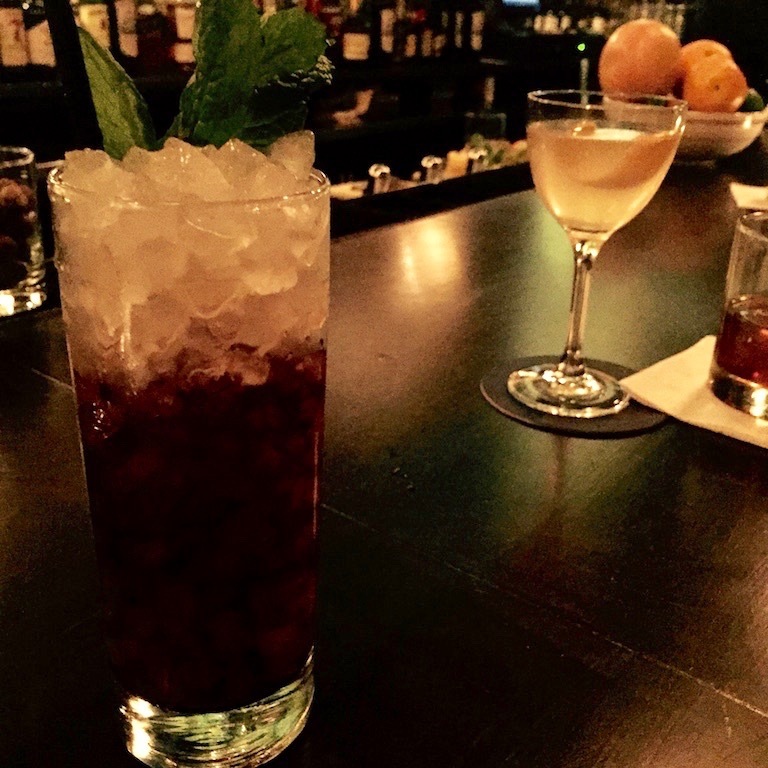 Using old favorites with an eclectic revamp, ‘The Originals’ appear more like characters than cocktails. The Burn This is a drink to reflect on all the mistakes you’ve made to lead you to this very (relative) moment. A damn good drink that scalds the esophagus is made with Hochstadter’s Straight Rye, Bonal, Cocchi Vermouth di Torino, Pedro Ximenez Sherry, Benedictine, and Peated Scotch. 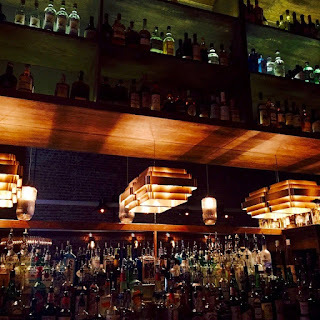 The gem of the drink is in the peated scotch: Ask for a generous spritz for a deeper burn and hairier chest. The beauty of 'The Originals' is diversity. The Burn This may kill you... in the best way, of course; but for those who aren't drinking their way to an author's death, there are plenty of alternatives. Call Me (which makes you feel as flirty, as it sounds) is made with Ford's Gin, Giffard Pamplemousse Rose, honey and Champagne. If adventure and nostalgia is what you're after, the Jamie (Here's How) is your poison. The combination of Rittenhouse Rye, Gran Classico Bitters, Angostura Bitters and Sarsaparilla taste like an adult root beer. Disclaimer: The Jamie (Here's How) is addictive, and the Rittenhouse Rye sneaks up and surprises you with the gift of candor and inebriation. Consider yourself warned. DC has literally thousands of bars. Bars for Tinder, bars for impressing your booshie friends from Brooklyn, even bars for break-ups. Why do we need a new one? Yes, the ambiance can't be bought, and the cocktails are truly divine, but the purpose for Quarter+Glory passes beyond a simple answer. You won't find your American University collegian pouring rum from their flask into a free soda, nor will you find gaggling bachelorettes engaging in the dance battle of the year. You will find friends who are at the start of a fantastic night, or lovers at the end of a great date. You'll also find people who have graduated from glow sticks to conversation, and a decorated menu with the wisest quotes from our most drunk, tumultuous authors and playwrights. You'll discover character in this watering hole that only came from hard work and a heck of an eye for creativity. Skip the VIP, and come be you at Quarter+Glory.